Oundle retained their Burghley Park sixes title after a thrilling final victory over Oakham. Oundle pipped Oakham by three runs in the final after easing past Bourne in their semi-final with two balls to spare. Oundle beat Bourne in the 2017 final. 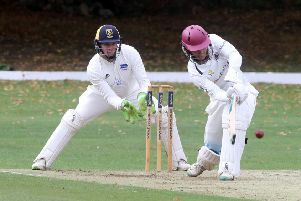 Mark Hodgson was the star of the semi-final win scporing 49 and dismissing star Bourne batsman Joey Evison first ball. Hodgson (26) and Conor Craig (30) top scored as Oundle reached 79-2 in the final which just proved too many for Oakham despite an unbeaten 49 from Shaun Morris. Oakham were comfortable winners over Stamford in their semi-final. OUNDLE 79-2 (C. Craig 30, M. Hodgson 26) beat OAKHAM 76 (S. Morris 49no).